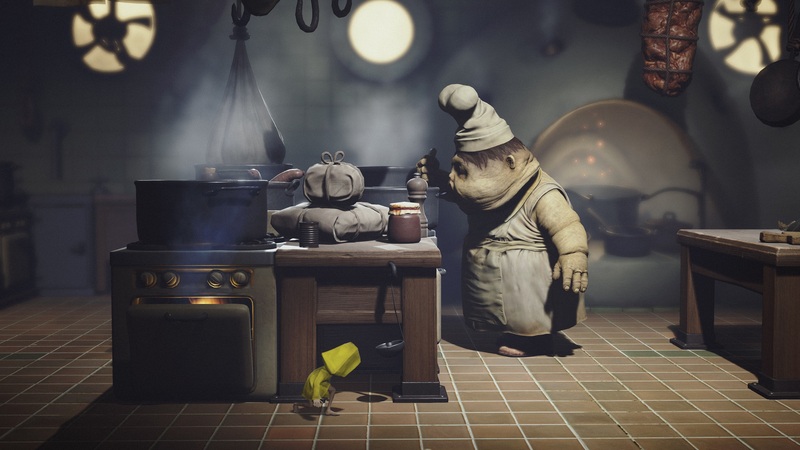 Preview: What is Little Nightmares? Guide little Six through The Maw while avoiding gruesome monsters and certain death. If you’re wondering what Little Nightmares by Tarsier Studios is exactly, you may want to set aside an afternoon to watch the Studio Ghibli classic, Spirited Away. Granted, Little Nightmares is far creepier and downright terrifying, but both feel very close in terms of core concept. In Little Nightmares you play as Six, a little girl in a bright yellow raincoat who’s trying to find a way out of a sinister place called The Maw. To make matters a bit more complicated for Six, The Maw is located deep beneath the ocean. What is The Maw exactly? Well, it's a place for extremely well-fed guests to come and relax... and eat, eat, eat. The Maw's strange, sweaty guests definitely come for the plentiful amounts of food. In Spirited Away, you follow the adventures of ten-year-old Chihiro who accidentally gets trapped in the spirit realm and has to play her cards carefully in order to save her parents (who’ve been turned into pigs) and escape. There are some easy similarities, and other areas where the two differ entirely. 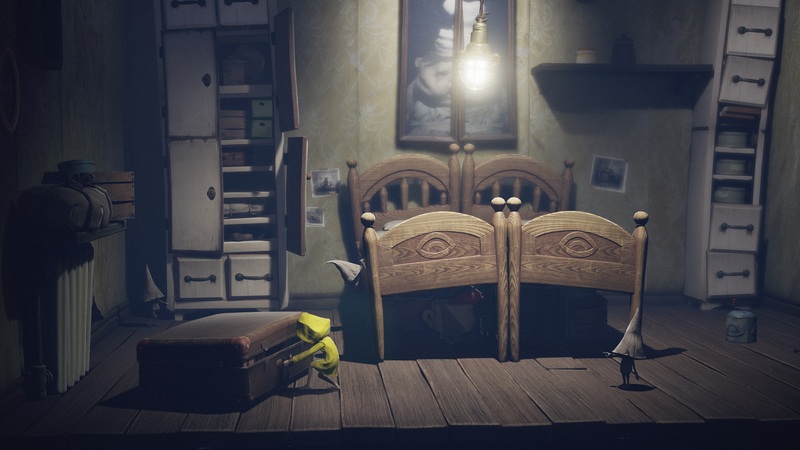 For us, we couldn't help but enjoy all of the subtle nuances in Little Nightmares, as they play upon some of our favorite films and styles of animation. Speaking of animation, the animation in Little Nightmares reminds us a little of Laika Studios (Coraline, Kubo and the Two Strings) who use a really gorgeous form of clay animation. Because of how well it's developed and animated, Little Nightmares (despite its wild premise) definitely looks and feels very real when you’re playing it. This serves to enhance the tension you feel as little Six, who’s extremely tiny in relation to everything else in The Maw. Because of how tiny Six is, she'll need to think outside the box to solve various puzzles. Then you have the carefully crafted sound design in Little Nightmares, where you’re able to hear every sound no matter how subtle. This can create a pretty frightening scenario where you’re trying to hide and are instantly made aware of just how much noise you’re actually making. To get an idea of some of the things you'll be hiding from, we put together an overview of the monsters you'll encounter in Little Nightmares. Little Nightmares is arguably one of the most original games you’ll play this year in that all of the monster designs are memorable, and the gameplay itself (despite being a side-scroller puzzle game) is a solid take on the horror genre. Because when you boil everything down, Little Nightmares is a horror game. One where you’re not exactly running from wild cultists in the dark like Outlast 2, but where you’re made fully aware of how many ways a tiny little girl lost in The Maw can perish. In that, we definitely recommend checking out Little Nightmares when it releases tomorrow, April 28th, for PC, Xbox One, and PlayStation 4. For more information, be sure to check out the official Little Nightmares website.